It’s been a long week so long until I forgot to mention that Friday, April 24th was my 42nd birthday. So Happy 42nd Birthday to me. I treated myself for my birthday with a book and a skein of yarn. I’ve been wanting to knit lace and still looking for patterns and saw the Nancy Pygora Merino Lace Scarf in the 101 Small Indulgences Luxury Yarn One-Skein Wonders. 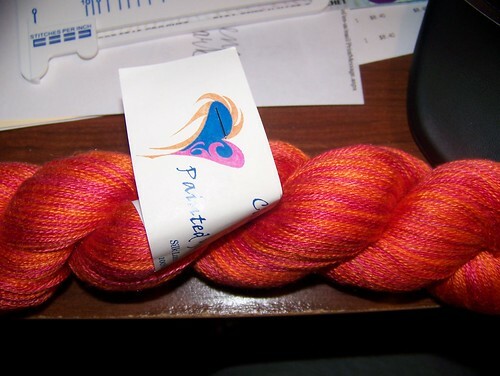 I have a very nice skein of Silk Claudia Handpainted in Poppy that I snatched up from my fav online yarn shop Eat.Sleep.Knit (you can find the link on my side bar) Go ahead you know you want to look. This is the yarn I want to use for the scarf, isn’t it purrty. Here’s the yarn I purchased with my book for my birthday. It’s The Unique Sheep in Aurora colorway Paradise 1324 yards of pure beauty. It makes me think of a beautiful Carribean ocean. WIP- still working on my Lacey Ladies Socks had to frog one sock and start the lace work over but it’s been really going well. Hope to have the sock back on the ML (magic loop) today. Still have a cowl on the stitch holder and after completed these socks I will pick that up and complete them along with DD #1 who finally asked for a pair. Until the next time I’m able to post stay Creative. Yes, I just realized that it’s been almost a month since my last post. There has been a great loss in my life the other week. 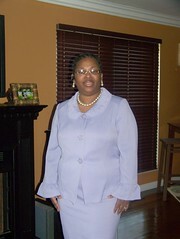 My friend and little (play) sister passed from Breast Cancer and left behind 4 sons ages 2-8 yrs. old and a very caring companion. Please remember her family in your prayers and pray that her undying devotion will remain in the hearts of those children. 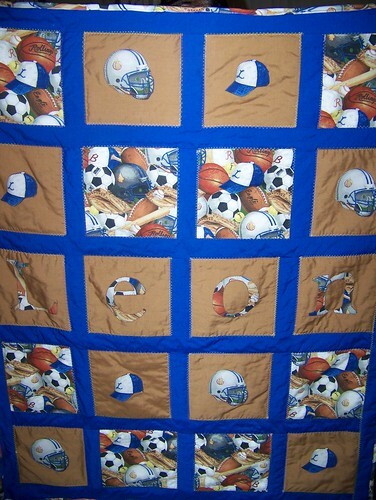 I’ve managed to complete a quilt, a pair of socks and that’s it for now. 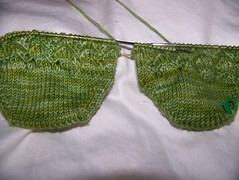 I have a pair of lace socks on my needles and have finished my Sock It to Me 3 SWAP. Here’s a pic of my projects. these are the lace socks I have on Magic Loop. Hopefully I’ll get my blogging mojo back soon as there are a lot of projects being done but getting them done keeps me from sharing them with you. Until next time be Creative!!! !